Save time at the end of a busy day with the Safescan money counting solution. 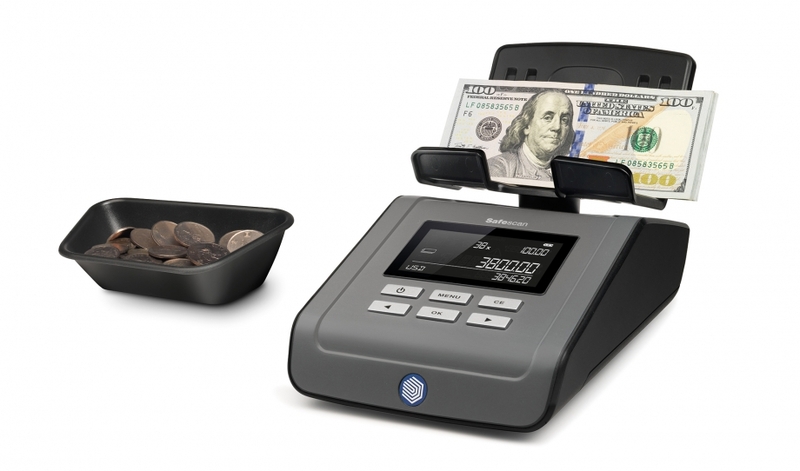 The Safescan money counting scale uses an ingenious weighing system to quickly and reliably count coins, bill, coin rolls and bill bundles faster than an experienced cashier. Starting with the smallest denomination and by simply placing the coin type into the supplied cup, the Money counting scale weighs and counts each denomination and adds it to the total value. The Safescan’s adaptive count algorithm enables the device to intelligently handle weigh variations that may come about with a bill denomination, such as old or different versions of bills such as the new $5 note. With a large, clear display and 6 clearly labelled buttons, The Safescan Money counting scale tells you exactly what you need to know: the selected currency, the quantity and amount per denomination and the total result.